Milan Ingegneria with Centola & Associati are in charge of drafting the revitalization plan for the Giuliano beach resort along the coastal strip of Litorale Flegreo-Domitio, north of Naples. The environmental redevelopment project, commissioned by the Ministry of Infrastructure and Transport, is developed around the old structure of the NATO beach building that has remained unfinished for many years and will now be used as a research, information and environmental education centre for the public. 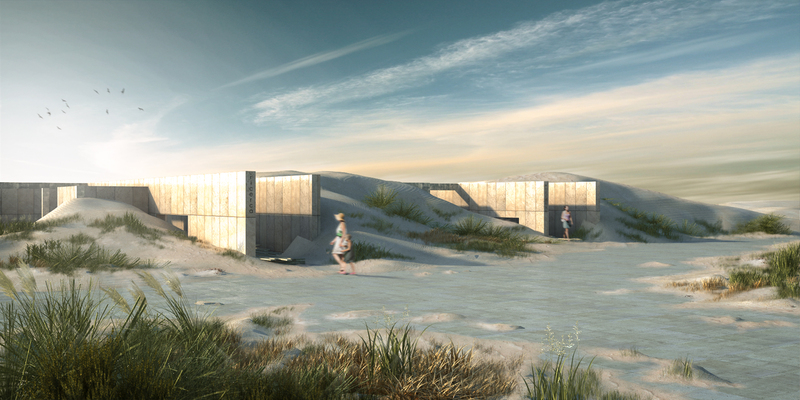 The redesigning of Giuliano “Waterfront” also provides for the restoration of this naturalistic site through a series of environmental engineering works: recomposing the dunes, enlarging the beach and planting native plant species, creating small rest areas as well as a service station complete with urban furnishings.